Here at ASOS, we want to give everyone the confidence to be their best self, because, when you’re at your best, you can achieve amazing things. Our Technology team pioneer incredible solutions that change the way our millions of customers can access fashion. We believe that fashion can make you look, feel and be the best version of you and it’s this feeling of empowerment that we want our ASOSers to experience while working with us. Our ASOSers reflect the diverse society they live in; we celebrate our differences and welcome people from all different walks of life. We’re looking for people who can live and breathe our values of being authentic, brave and creative and we don’t care about labels- we recognise there are endless ways to be ‘you’. Sound like a place you’d love to be? Come and join us! Want to be a part of the team responsible for making it effortless for our ASOS customers to choose the right sized product every time, that fits just as they like it, instilling confidence in their purchase? Size and fit is the number one reason for returns for online retailers, and ASOS is no exception. For a company that works tirelessly to create a painless purchase journey, our customers still find it difficult to order the garment that fits. And with around 850 different fashion brands on site, and with customers from all over the world, it’s no wonder this area is such a minefield at ASOS. We want to make it effortless for customers to choose the right clothing. As a Business Analyst in the Commerce Tech Size & Fit Team , you will be fundamental in helping make our customers sizing experience as friction-less as possible, and in turn, help lower our returns rate. You’ll be working extensively with, Software Engineers, Web Engineers and QA Engineers, Solution Architects, UI/UX designers and Data scientists to deliver leading edge tech and business solutions. You’ll be making sure we build the best management tools for our Retail teams, as well as helping evolve AI solutions to give customers a targeted and personalised size and fit advice, on one of the largest ecommerce retail sites in the world. You’ll also be part of our wider BA Community, led by our Principal BA. You’ll be invited to community events, knowledge shares and meet-ups, all to support your Business Analysis development journey, ensuring you can be the very best version of yourself at ASOS. If you are a driven Business Analyst with a passion for tech solutions and innovative customer experiences, and you want to work in an amazing team with great potential for personal growth and progression, then we would really like to hear from you. 25 days holiday + never work on your birthday again! 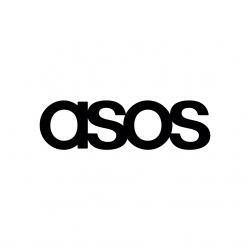 ASOS is one of the UK’s top fashion and beauty destinations, expanding globally at a rapid pace. Our values are to be authentic, brave and creative, and we live and breathe these in everything we do. We believe fashion can make you look, feel and be your best and, with technology in our DNA, we deliver the latest trends to our digital-obsessed 20-something market. Our award winning Tech teams sit at the heart of our business. We deliver technical innovation and pioneer incredible solutions, which are crucial to our continued success. We’re extremely ambitious and thrive on the individuality of our amazing employees. Our values encompass everything needed for our tech people to be the thought leaders of tomorrow. We believe in a world where you have total freedom to be you, without judgement. To experiment. To express yourself. To be brave and grab life as the extraordinary adventure it is. So we make sure everyone has an equal chance to discover all the amazing things they’re capable of – no matter who they are, where they’re from or what looks they like to boss. We exist to give you the confidence to be whoever you want to be.